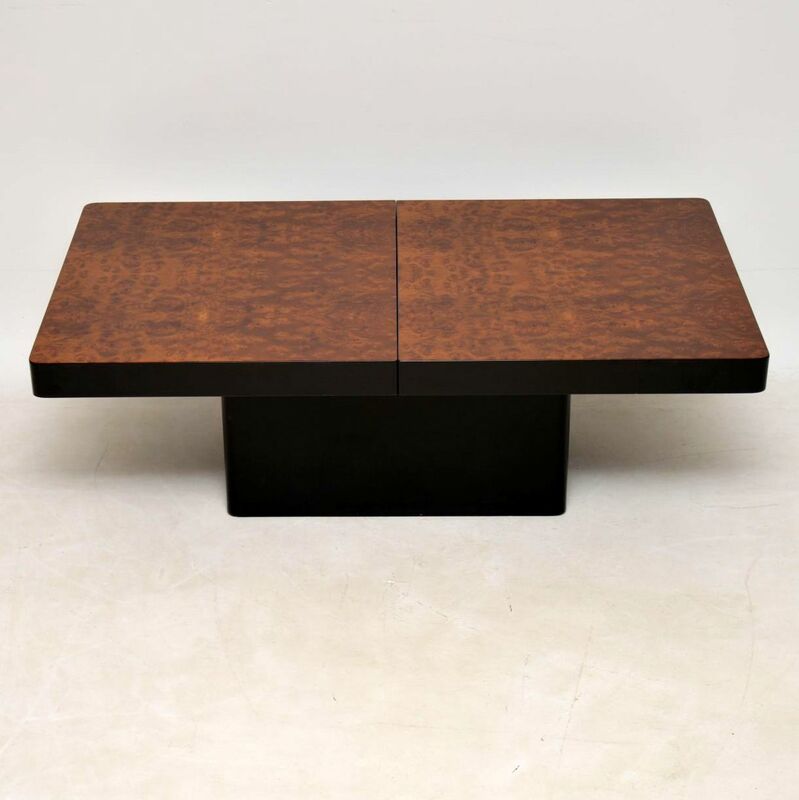 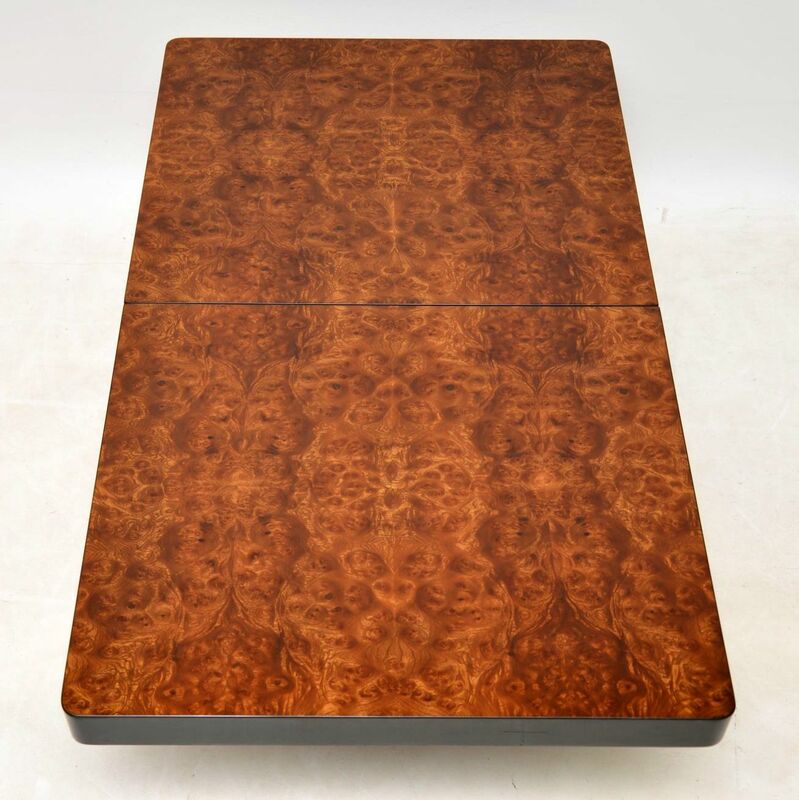 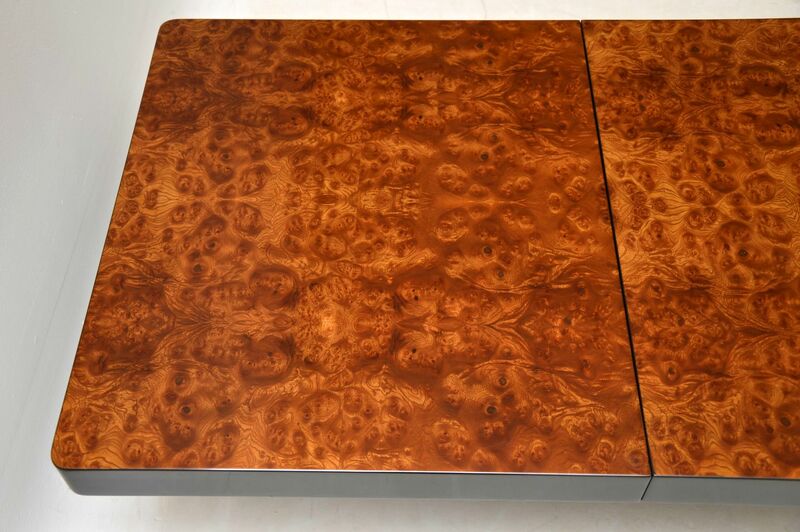 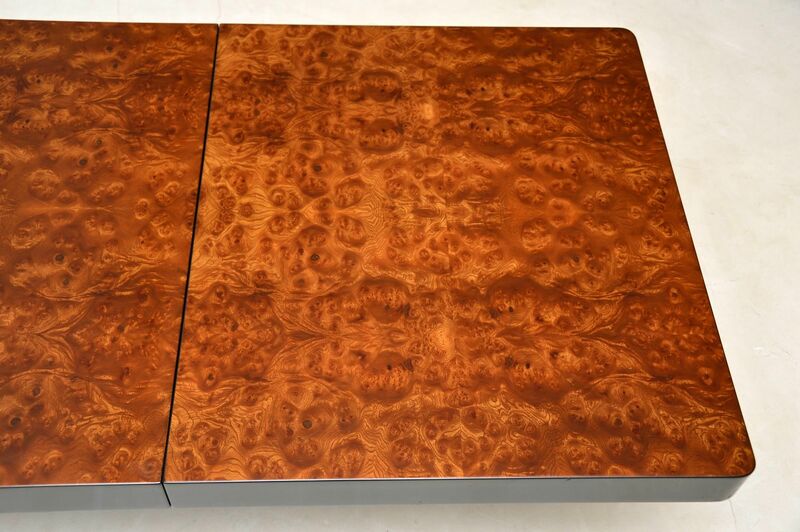 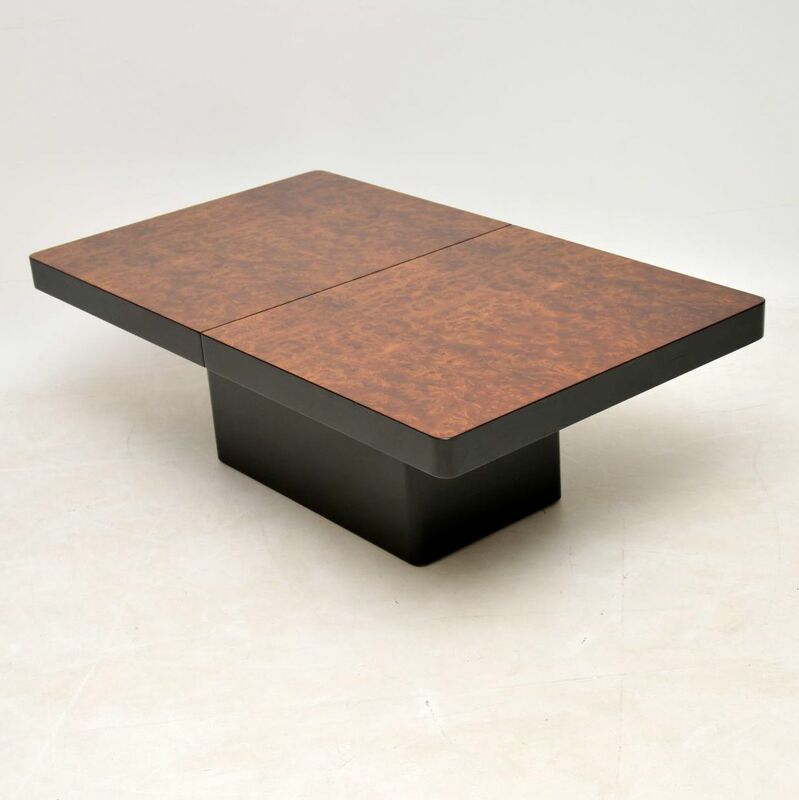 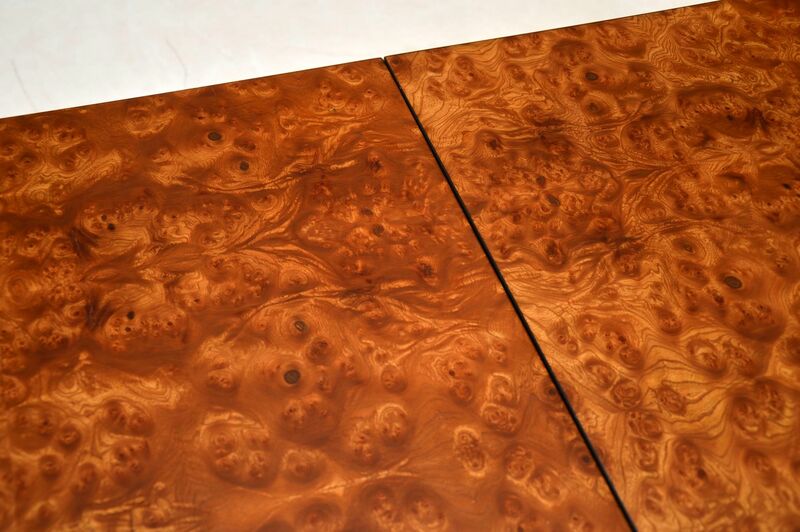 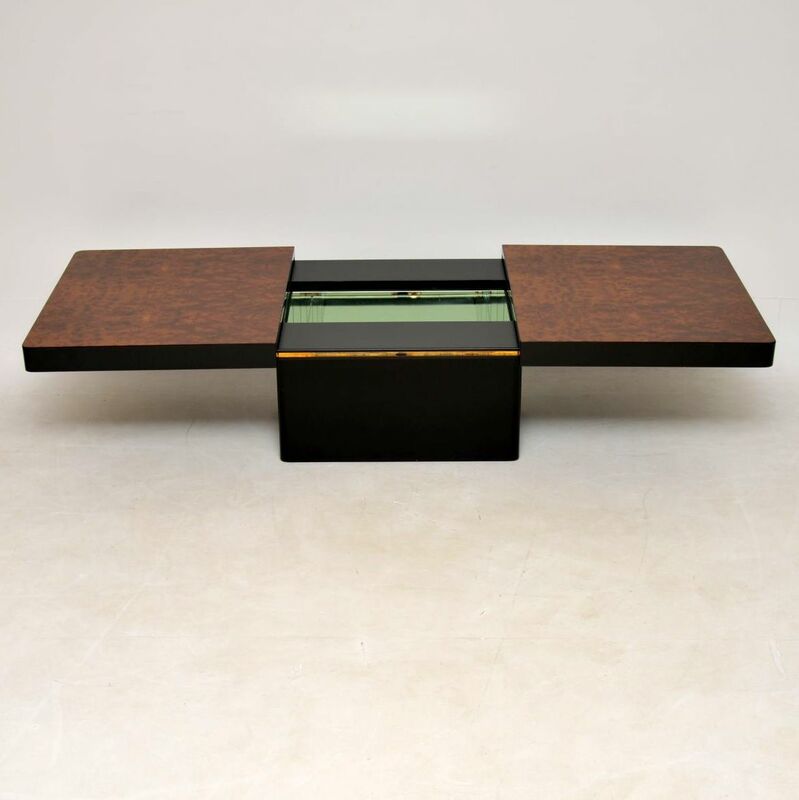 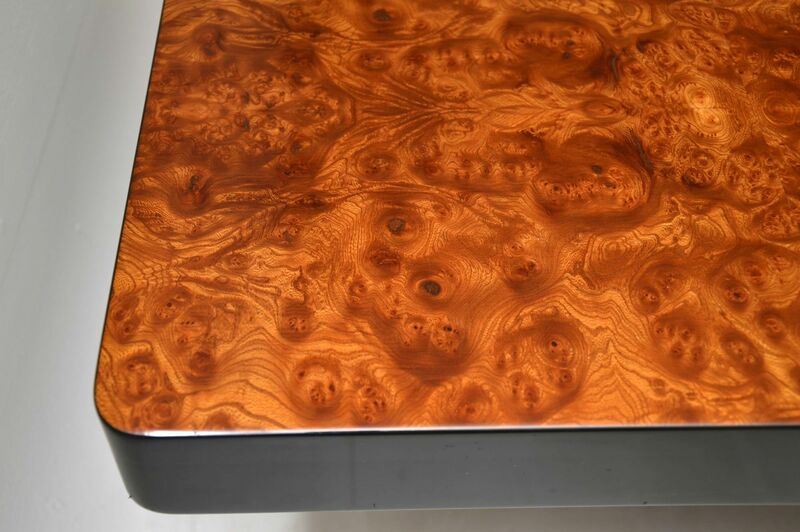 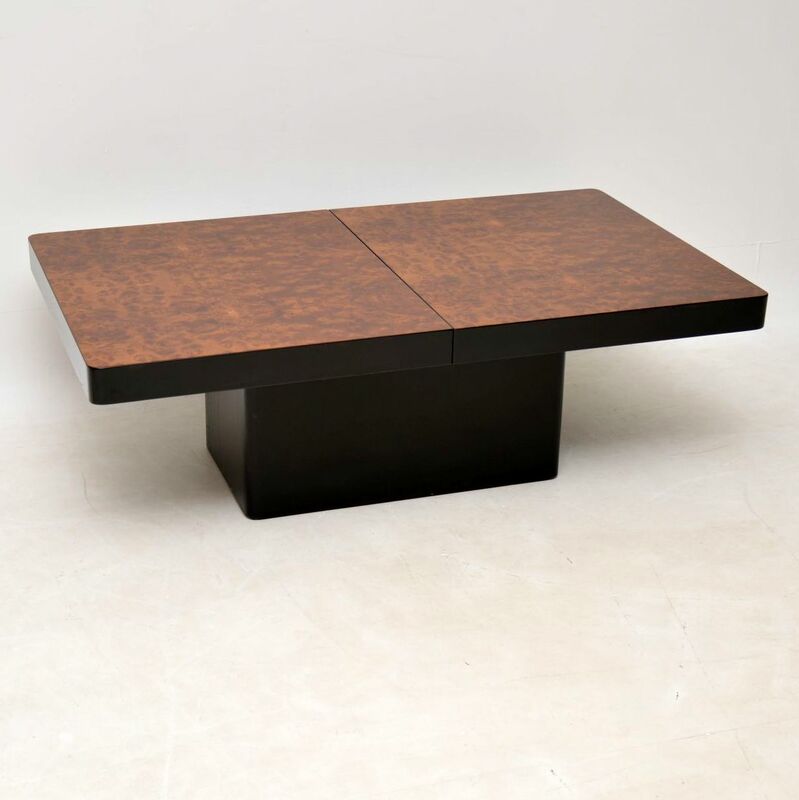 A stunning vintage coffee table in beautiful burr walnut or possibly burr elm, this was made in Italy around the 1970’s. 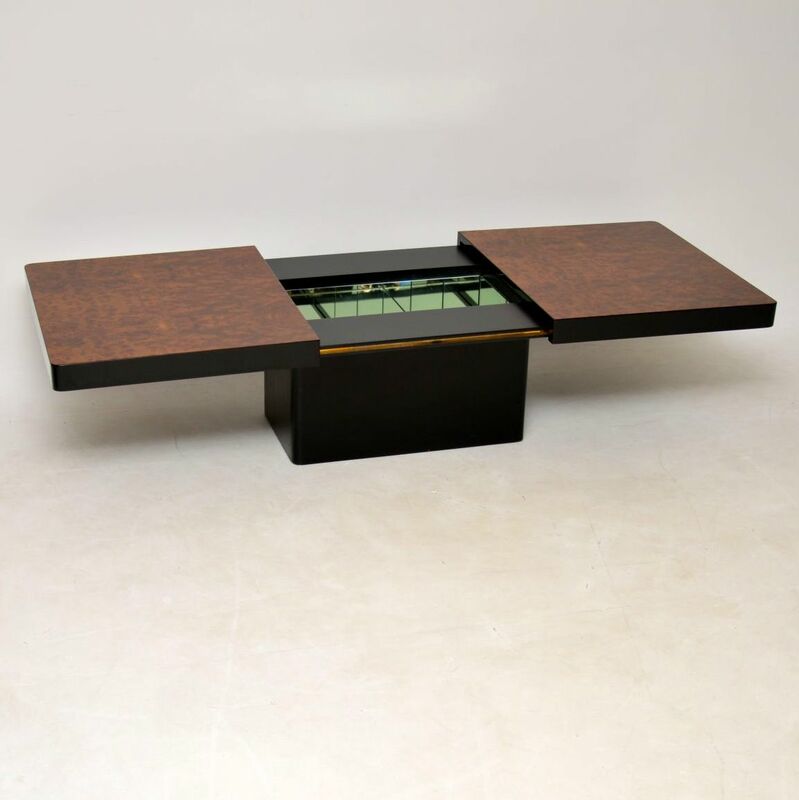 It’s very much in the manner of Willy Rizzo, though we’re unsure who designed this. 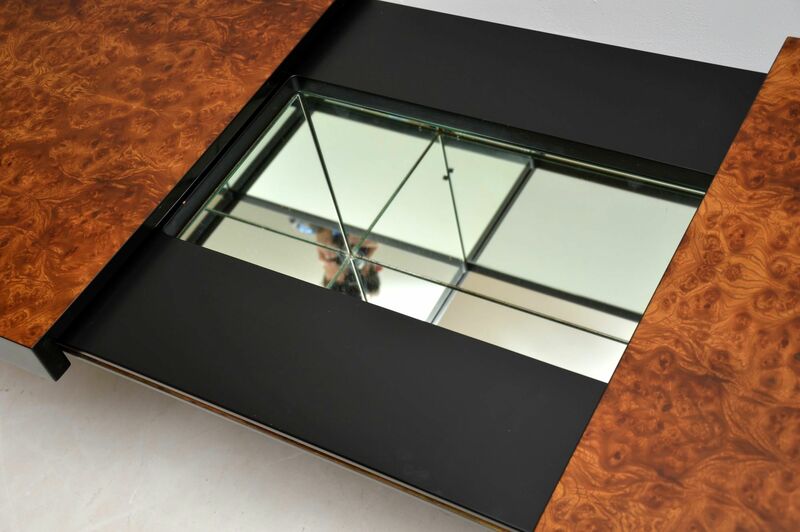 It has a stunning design, the top slides apart in the middle to reveal a mirrored storage space. 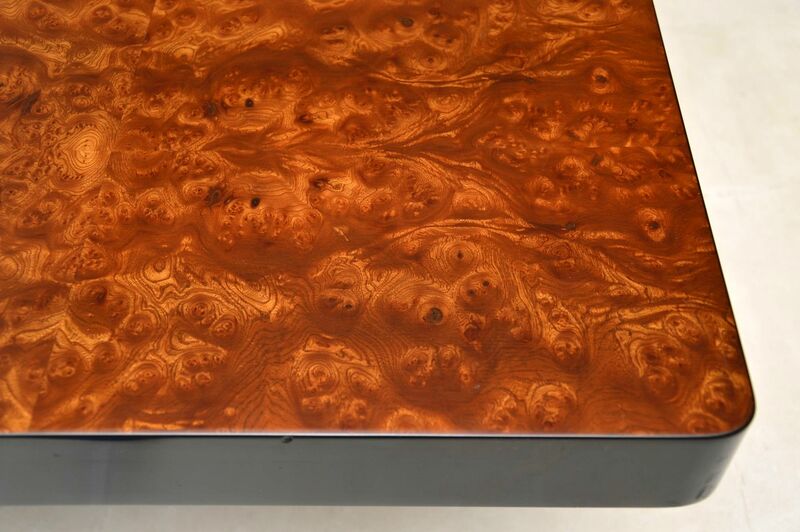 The condition is excellent for its age, with only some extremely minor surface wear here and there.